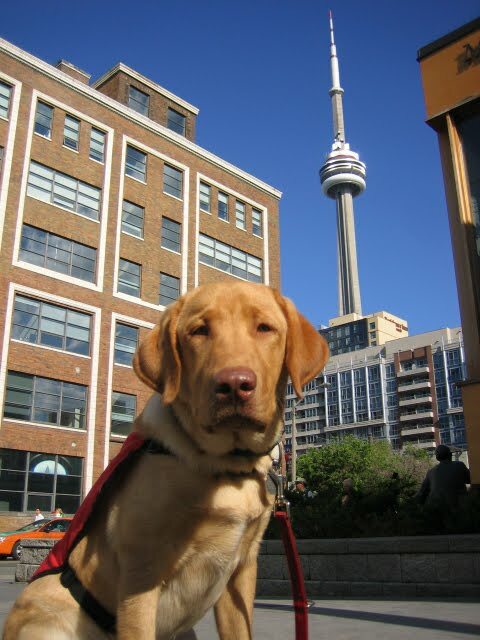 National Guide Dog Month – Why Labs? Since the past two days have been focused on more serious topics, types of service dogs, I thought I’d look at something a little less “boring. 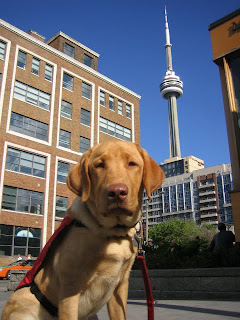 Often when I am out with Cessna, I have people ask me why labs are the main breeds used for guide dogs. I think this is a pretty interesting question, so decided to do a little research. 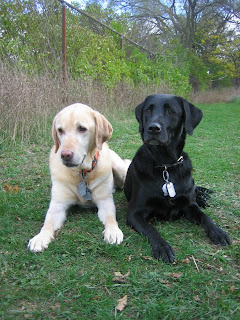 According to this website, 60-70% of guide dogs in the U.S. are Labrador Retrievers. All three colours of labs have been used for guide work, but there are some programs in the U.S. who will not use chocolates. 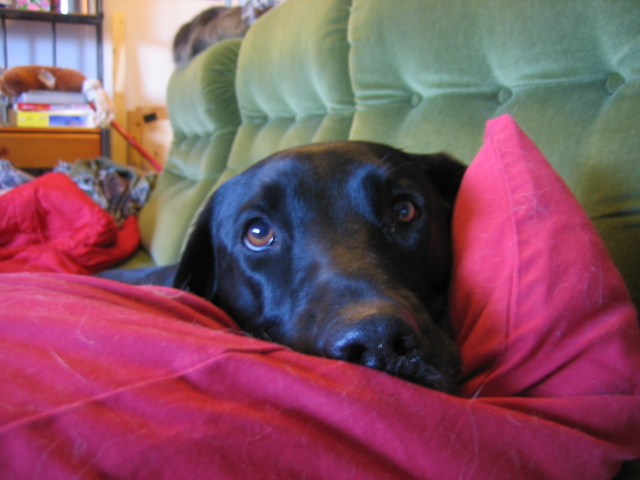 The coat colour of a lab does not make a difference in temperament or trainability, but there is still this sad myth. And, if the breeder at Wylanbriar hasn’t convinced you that these myths regarding chocolate labs are unfounded, then take a look at this post, written a while back by our friends, L^ and Jack. If intelligence was the number one decision-making factor regarding which breeds would make the best guide dogs, then labs would have to move over for the border Collie and German Shepherd. It is a well known fact that labs are not considered the smartest breed, but there are many other traits which help these floppy eared goofballs excel in the field. But, the most important quality, which makes the breed such a great guide dog for the blind, is their “stubborn streak”. 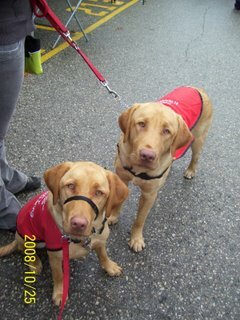 It is important for a guide dog to obey, but in times of danger they must choose to go against their partner’s wishes, without concern, therefore this is an area in which the lab far exceeds the qualifications of other breeds. I have only had personal experience with the Labrador Retriever and Golden Retriever, but will always choose a lab for my working partner. I have found my relationship with Cessna and Phoenix before her, to be one of true teamwork and dedication. Cessna has been working with me for six years now, but still thrives on being challenged and asked to work in highly stimulating environments. She constantly looks to me for direction, but will also take charge and guide me through some of the most difficult surroundings with a continuous smile on her face. My goldens are softer. They find it tough to adapt to new environments at first, and become almost frantic if they can’t follow. I don’t find they possess the same level of desire to please and willingness to learn that my labs offer. I’m sure there are labs out there who are not going to make great guide dogs, and goldens who would be great candidates for the job, but in my experience, I prefer the lab by far for working and the golden as a pet and/or competition partner. This link, will take you to a page on the International Association of Assistance Dog Partners website, which discusses some of the points that should be considered when deciding upon which breed might best suit your needs. Come back tomorrow for another installment of our National Guide Dog Month entries.